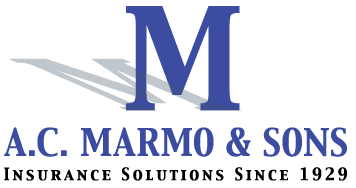 Small Business Owners: Don’t Avoid These HR Musts - AC Marmo & Sons, Inc. Even the smallest business will find that it has to deal with HR issues as soon as the first employee is hired. Managing employees entails a wide variety of legally sensitive matters that can cause lawsuits if not properly handled. Small business owners often find the most cost-effective way of dealing with these issues is to outsource them to a company with experience in all facets of HR. Keeping your payroll in order is critical for a variety of related expenses such as insurance, retirement plans and vacation time. Many small business owners find that outsourcing this area of their business helps to save both time and money. Payroll services allow small business to concentrate on the products and services they provide to the public rather than HR concerns. Today’s businesses find that diversity is not only a matter of complying with the law, it is good business that helps them to serve their customers’ needs. Staying in compliance with related state and federal laws can be left to HR companies with the knowledge and experience to handle these matters expeditiously. Having a clear statement of workplace policies and can help to save small business owners countless hours in communicating and correcting policy problems and can help them to avoid the frustration of repeat problems. Compiling a manual of standard procedures ensures that all employees are cognizant of related policies. They can then be updated on policy changes as needed. Good HR policies also include regular assessments of employee performance for salary increases, training evaluations and official reprimands when necessary. When these measures are enacted on a standard basis, all parties are clear about what is required and what consequences will follow. In addition to the normal HR concerns that a small business must deal with on a regular basis, it must also stay current with changes in HR law that may occur. This problem is generally the most significant area that an outside HR firm can help your small business.